The 2014 season, one of the best in Oregon history, is in the rear view mirror and almost out of sight. One week from today, the future begins, as Head Coach Mark Helfrich and staff embark on their journey into the 2015 college football season. Who is going to replace Marcus Mariota? This will be the most talked about competition of the entire preseason for the Ducks. With Vernon Adams Jr. transferring from Eastern Washington, competition gets much stiffer. Expect Adams to compete with Taylor Alie, Jeff Lockie, and even Morgan Mahalak for the right to run the offense come Week 1 in September, though he won’t actually be in Eugene until June when he graduates from Eastern Washington. Marcus Mariota left a void that might never be filled, but it’s time to move on. 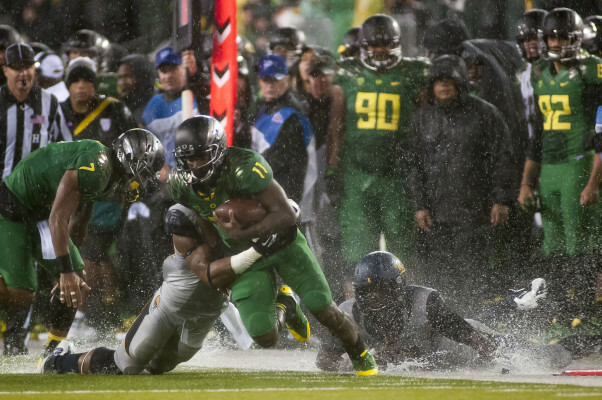 Having Bralon Addison back adds another dimension to the Oregon offense. Sounds ridiculous to say, but the Ducks have too many weapons on offense. Not like this is a bad thing, but with so many elite players on offense and a limited amount of spots to put those guys, things will get tight at the top. Returning, the Ducks have standout running backs Royce Freeman and Thomas Tyner, along with flex players Bralon Addison and Byron Marshall. At receiver, the Ducks get back Dwayne Stanford, Darren Carrington, Jr., Devon Allen, and Charles Nelson. Not to mention, all the top offensive recruits Helfrich and staff have coming in from the 2015 recruiting class. The battle for relevancy on offense should be made into some sort of reality TV show. 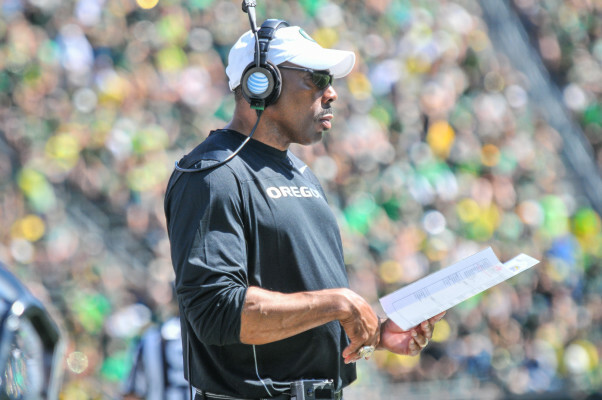 Oregon Defensive Coordinator – Don Pellum. Last year was tough for the Ducks on defense. Defensive Coordinator Don Pellum taught his guys to capitalize on mistakes made by their opponents, and without doing that, things would have been worse. Leaders in DeForest Buckner, Joe Walker, Danny Mattingly, Rodney Hardrick and Tyson Coleman will be returning on defense. With no returning Juniors or Seniors with playing experience in the secondary, it will be interesting to see who emerges. Expect this Ducks defense, despite being incredibly talented, to be a little raw during the start of Spring Ball. 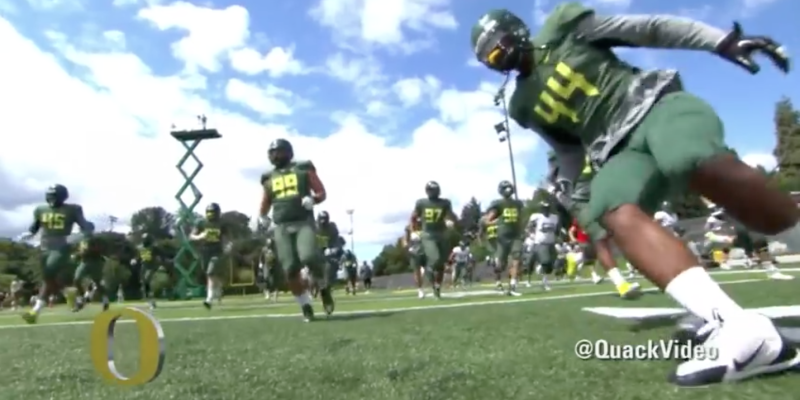 Stay tuned to FishDuck.com, as we will have everything you need to know, and more, from Oregon’s 2015 Spring Practice.